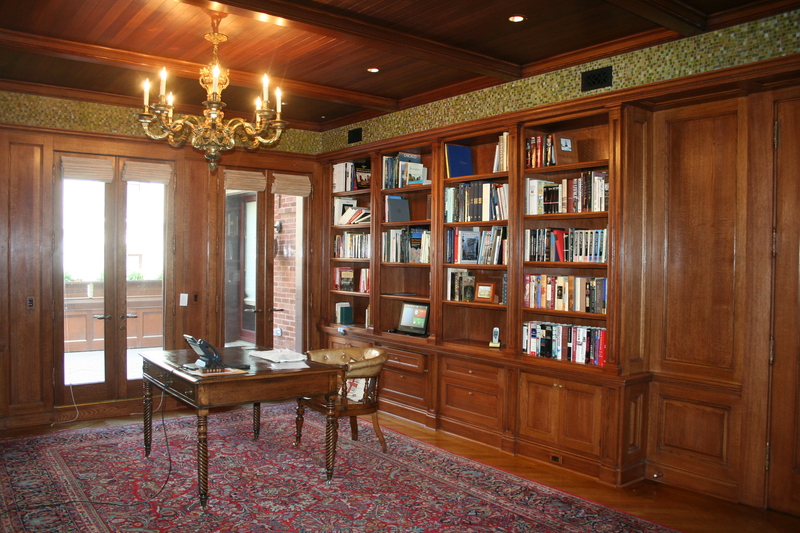 The clients requested that two master bathrooms be provided. 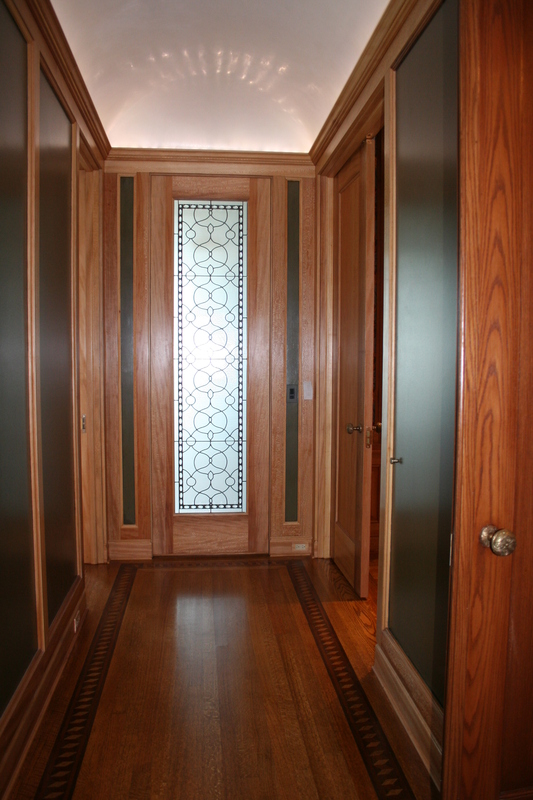 The entry vestibule to the master bedroom is provided by (borrowed) natural light by means of a frosted art glass window placed in her shower. 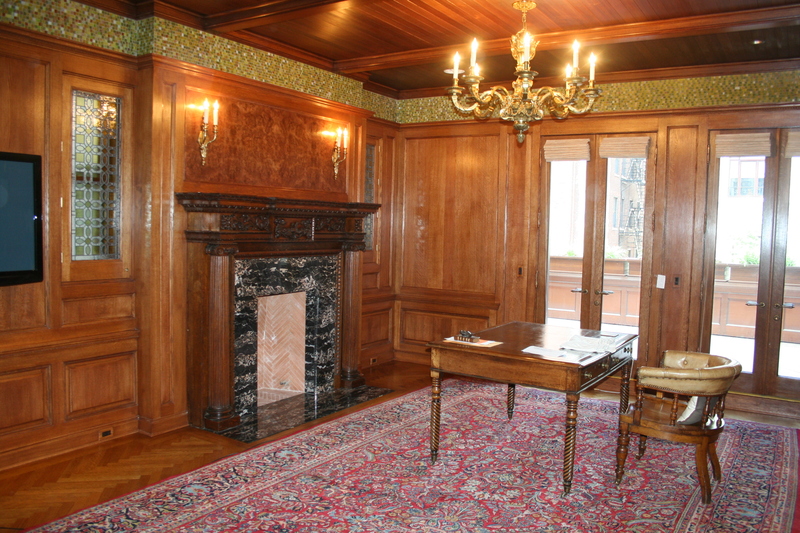 The glass pattern is based upon an early William Morris wallpaper design used in the Master Bedroom. The ceiling is finished in an off-white venetian plaster. 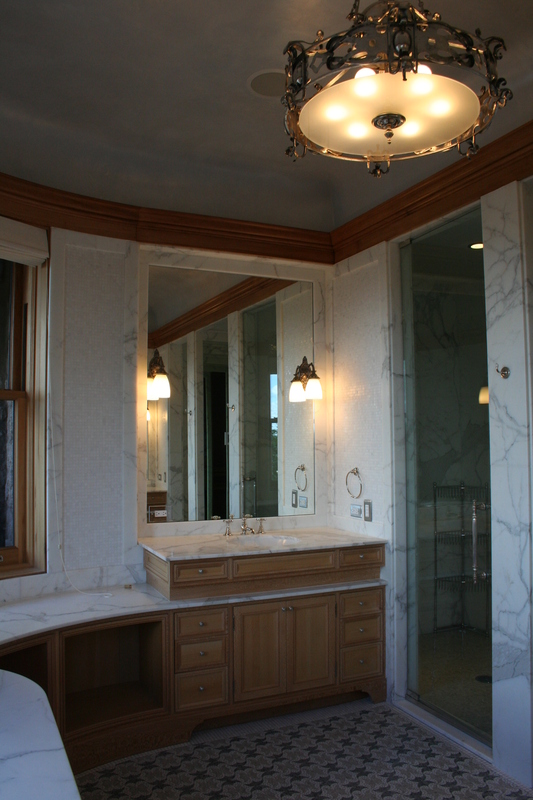 Her bathroom is located in a semi-circular bay with views of Lake Michigan beyond. 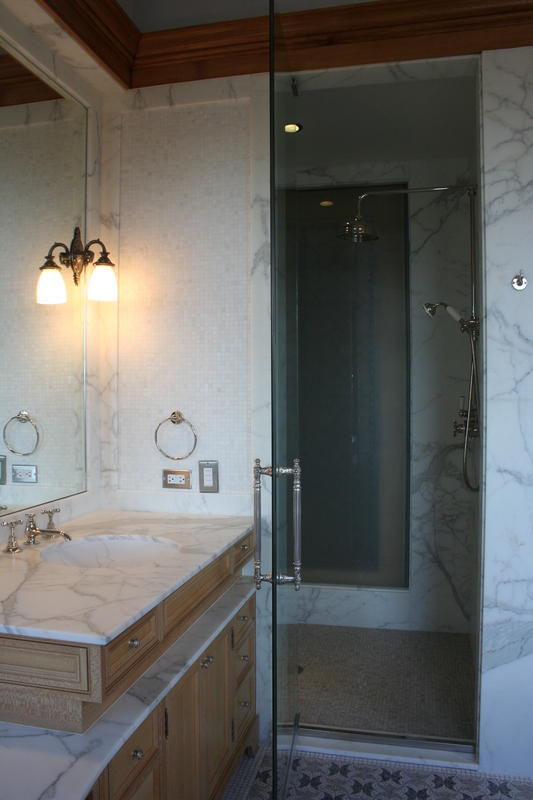 Shower and toilet areas are compartmentalized, and the main space is provided with a makeup area, bath and vanity. 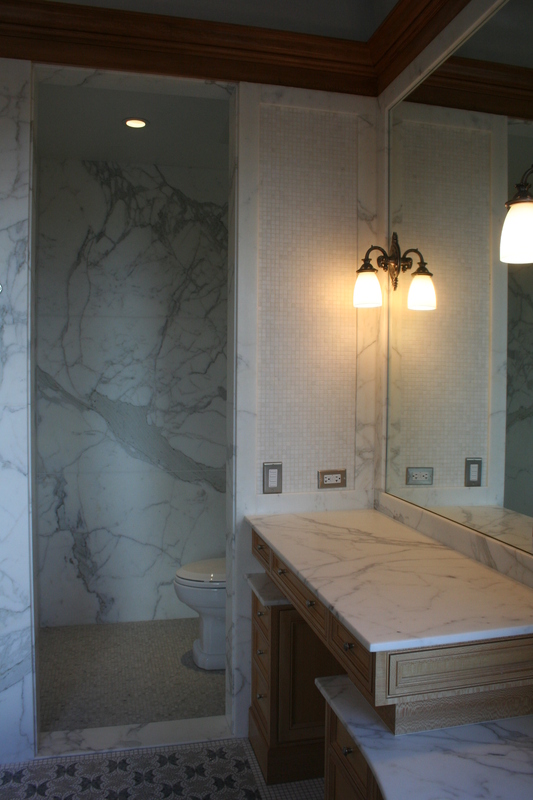 The floor is made up of marble mosaics, whereas the walls are finished in calacutta marble panels and mosaics. 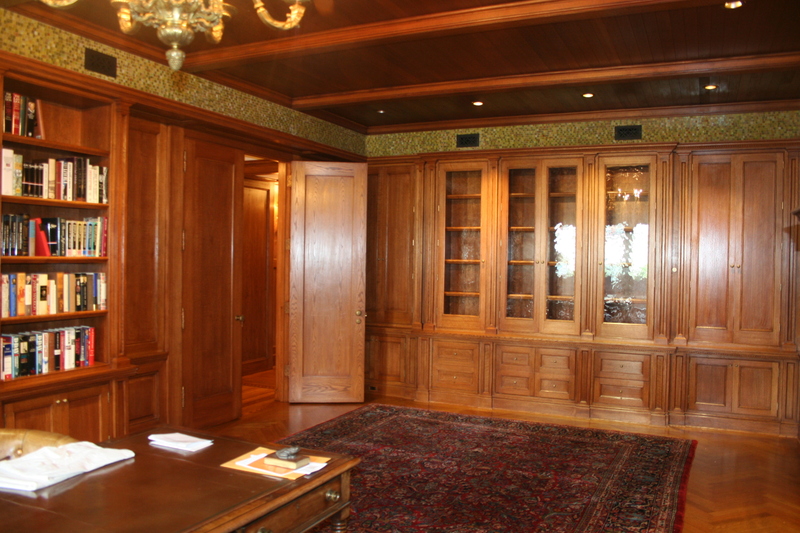 Sycamore trim and cabinetry were used for their delicate grain and warmth. The silver art nouveau ceiling fixture dates from the early 1900’s, and was purchased from a home in England.